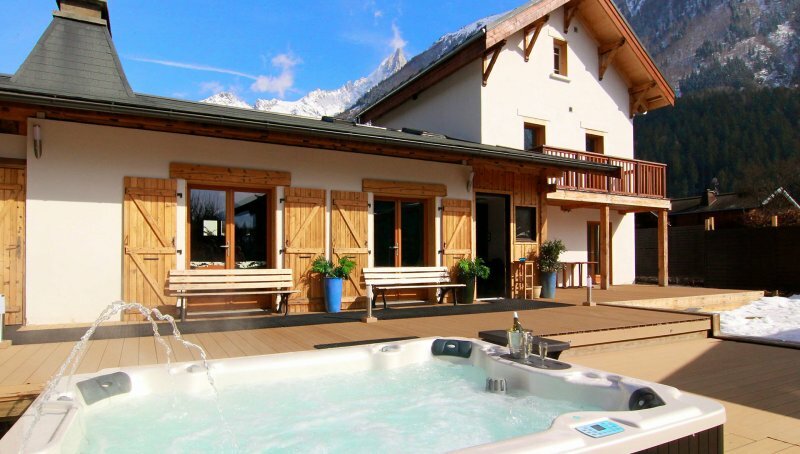 Luxury 8 bedroom 8 bathroom Chalet on the Eastern end of Chamonix town near the Swimming pool and Sports complex. Opposite the Bouchet forest and parks where your hiking and mountain bike trails begin. 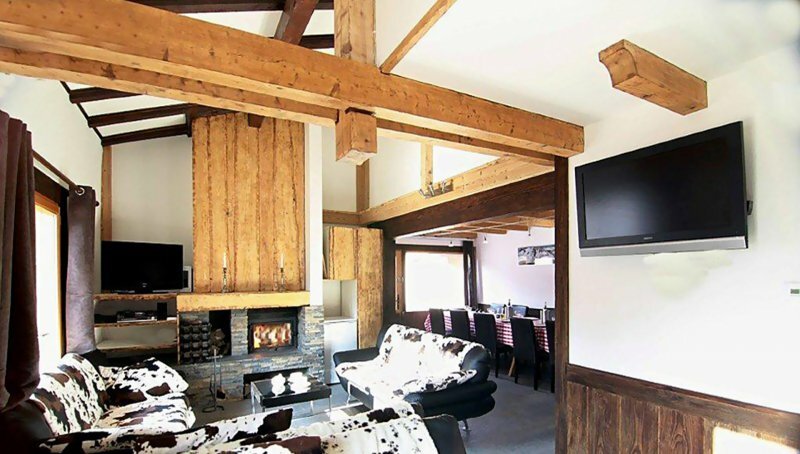 Luxury 8 bedroom 8 bathroom Chalet on the Eastern end of Chamonix town near the Swimming pool and Sports complex. Opposite the Bouchet forest and parks where your hiking and mountain bike trails begin.The forest also boasts a picnic area, pond and panoramic views of the mountains and valley.A warm, large open Living room and Dining room area with 5 sofas and dining seats for up to 15 guests, family and friends.The lounge has UK & French Freeview Satellite TV, DVD's, blu-ray player and Wi-Fi.Underfloor heating and a log fire to relax by after skiing,hiking biking or sight-seeing.All this and the ensuite bedrooms completes the chalet's cosy atmosphere, feeling like your second home instantly. Easy parking outside gates which gives the Property a private, large sunny terrace and garden with fabulous panoramic mountain views. A second living area and games room includes small pool table , TV entertainment , library and games area. You will love staring at the stunning mountain views from our large 10-12 person jacuzzi, hot tub. 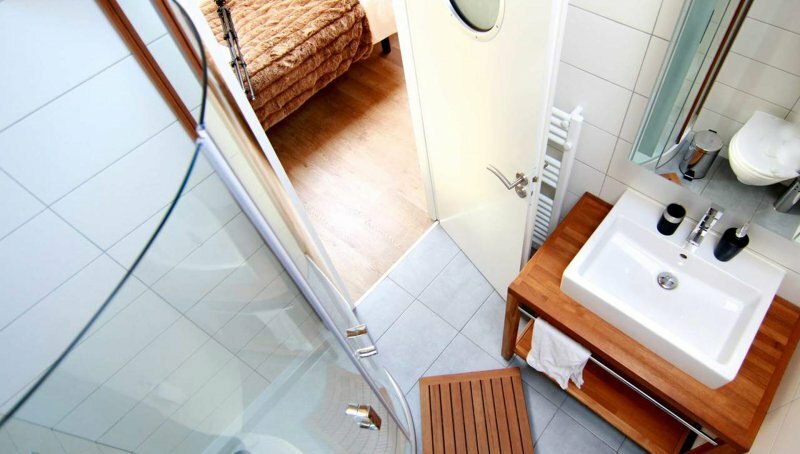 Set in our sunny patio/terrace the jacuzzi is right next to the Turkish bath with a sauna, steam room, showers , a seated relaxation area and laundry. The chalet complex has a sunny garden and deck furnished with tables, chairs and sun lounges to help you relax and enjoy the sunshine and fantastic scenery after your day's holiday activities. Linen, bathrobes & towels are included for every guest too. 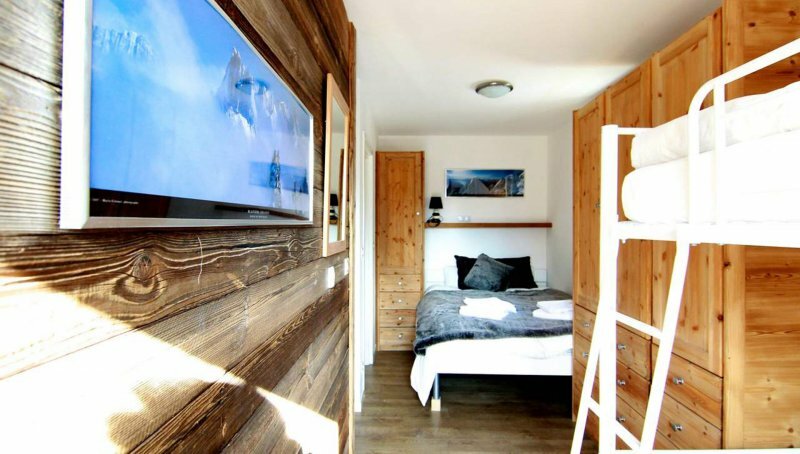 This luxury home is an easy 10-15 minute walk to Chamonix town centre, with a bus stop just outside the chalet next door. The famous Micro Brewery of Canada, bar and restaurant is just down the road, an easy 5 minute stroll away. The street to the swimming pool and sports complex is just opposite this bar, or you can walk through the forest just across the road. 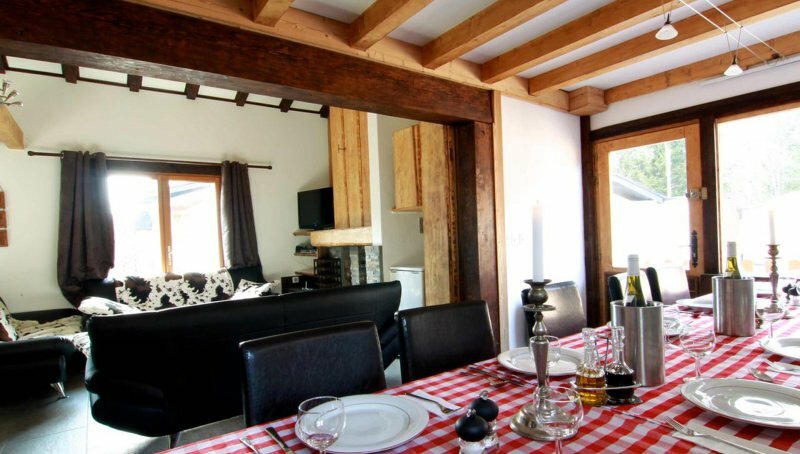 Great hosting too with the owner and staff helping you make the most out of your holiday stay In Chamonix. 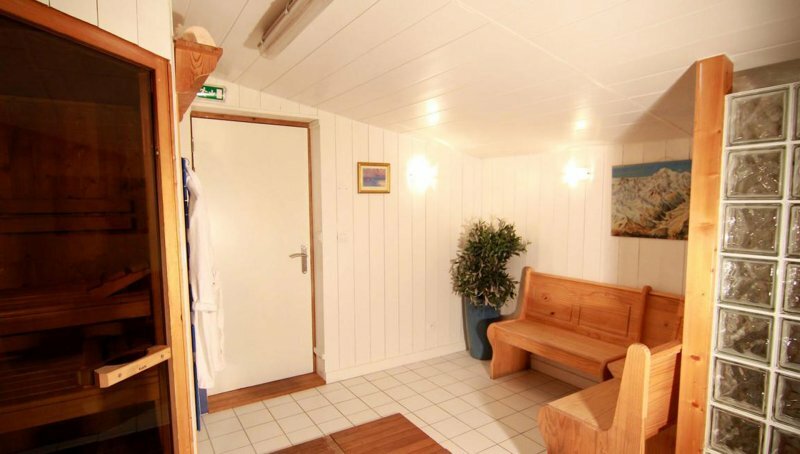 10- 15 minute walk to town centre.Luxury 8 bedroom 8 bathroom Chalet on the Eastern end of Chamonix town near the Swimming pool and Sports complex. 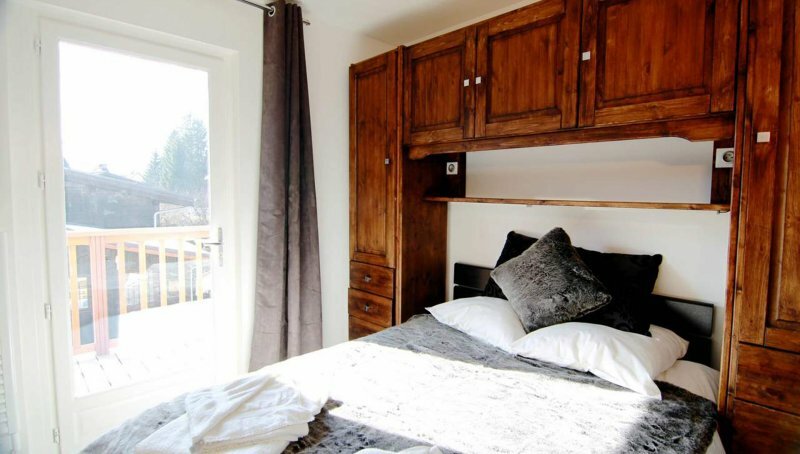 Opposite the Bouchet forest and parks where your hiking and mountain bike trails begin.The forest also boasts a picnic area, pond and panoramic views of the mountains and valley. Just over an hour from Geneva Airport. A warm, large open Living room and Dining room area with 5 sofas and dining seats for up to 15 guests, family and friends.The lounge has UK & French Freeview Satellite TV, DVD's, blu-ray player and Wi-Fi. Log fire and under floor heating.